In 2006, president Calderon declared war on the cartels that control the multi billion dollar drug trade. Some leaders have been captured,but their power has not been broken. Roughly 60.000 people have died in the violence so far, more victims as in Iraq and Afghanistancombined.War photographer Teun Voeten, who for 22 years has covered conflictsworldwide, has captured the narco-war in powerful images. 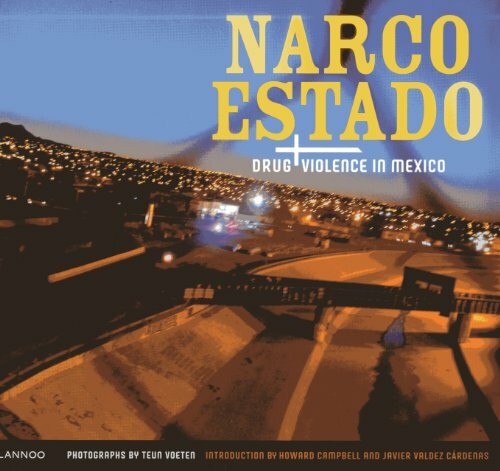 He photographed not only the bloodshed, but also the intervention of the authorities, social disintegration and a struggling population that against all odds tries to maintain its dignity.With introductory essays by renowned Texas based anthropologist Howard Campbel and celebrated Mexican writer Javier Valdez Cárdenas, this book is a stark reminder that the Mexican drug violence is not a marginal problem, but is a dangerous force that poses enormous challenges to the international world order.